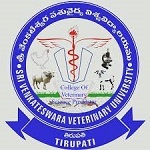 NTR College Of Veterinary Science Gannavaram is one of the reputed Government Veterinary Colleges in Andhra Pradesh. 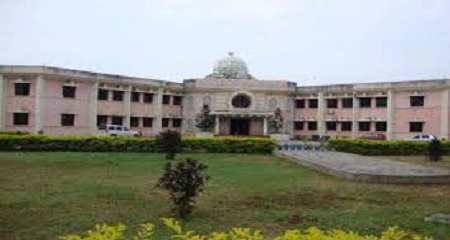 The college is popularly known as NTR Veterinary College Gannavaram and was founded in the year 1955. This famous NTR College Of Veterinary Science Gannavaram is affiliated to The Sri Venkateswara Veterinary University, Tirupati and is approved by Veterinary Council of India (VCI). In this article, we will provide you with the detailed information about NTR College Of Veterinary Science Gannavaram Fees Structure, Course offered, Admission Procedure, Placement Stats, Cut-off, Facilities available and complete college review. B.V.Sc.& A.H 75 5 year 6month. Educational Qualification Admission seekers must have passed 10+2 or equivalent qualification, with Physics, Chemistry, Biology with a minimum of 50% marks secured from a recognised board of the country. Maximum Age: Should not exceed 25 years on or before 31.12.2018. There shall be a relaxation of maximum age by five years for Scheduled Caste (SC) or Scheduled Tribe (ST) or Other Backward Class (OBC) candidates. The Counseling for admission to 15% All India Quota seats shall be conducted by a Veterinary Council of India and the decision of VCI shall be final. ** Fee is subjected to change. We would like to give 4.1 out of 5 stars on Edufever Best Veterinary Colleges in Andhra Pradesh. For further admission related queries, you can comment on the box mentioned below. Our top expert will serve you with the best possible solution. Can I get seat in ntr veterinary college,ganavaram with ap EAMCET rank -4952. Please inform fastly.